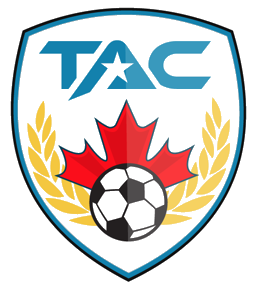 Adib is the Director of Operations at Toronto Athletic Camps (TAC). His passion for sports is rooted in his own experience as a developing junior player. He comes with an extensive athletic background as a former student-athlete and as a supervisor of internal and external affairs within intercollegiate athletics for soccer and tennis. He has been a member of the varsity team at York University, earning him the Ontario University Athletics championships with the York Lions in 2011. In addition to his high quality work with various teams, Adib manages a terrific sports program and is excited to apply his knowledge to TAC Sports programs and community-based organizations. He takes pride in working at TAC Sports and in his ability to provide youth with high-quality sports and education programs. Adib is fluent in English and Farsi. Alexander’s passion has always been sports, health and physical activity. Alexander graduated from York University with a B.A in Kinesiology and Sports Psychology. His life mission is his commitment to develop children and athletes into confident players and leaders. He takes pleasure in designing the best possible programs and systems for TAC Sports. Alexander is a NCCP certified coach, teaching soccer and tennis for over 10 years. He continues to play high-level soccer all around Ontario and has been organizing soccer teams and leagues for over 6 years. Alexander is fluent in English and Italian, and is adept in both Spanish and French. Nemanja loves of sports began as a soccer player in Canada at the age of 4 and he has played at the recreational, competitive, and provincial levels. His professional coaching career was inspired by a book by Jonathan Wilson titled “Inverting the Pyramind” in which a story was related of an Uruguayan man who saw the national team lose in the world cup and vowed to win it for the nation. He is currently licensed to coach in Ontario, possessing the Active Start, Learn to Train, and Soccer for Life community licensing courses. Nemanja is also pursuing FIFA approved coaching courses in the United States, holding the USSF National ‘D’ License. Tyrone has always been passionate about sports. He began playing basketball competitively at the age of 7 and continued to compete right through high school and University. As a graduate of Tyndale University, Tyrone managed Tyndale’s Varsity Basketball Program as the head coach for both the Men and Women’s teams for 3 years before joining TAC Sports as a head basketball trainer. Tyrone is an NCCP certified basketball coach with Canada Basketball and is fluent in both English and French.